I had a real roller coaster journey with Destiny. The initial game let me down, as did the first DLC installment for it, but I found myself more engaged with House of Wolves and The Taken King, then a little let down again a with Rise of Iron. I ended my time in Destiny on a good note though, having found that I enjoyed it most when i could play with friends. Those friends are now (mostly) my new clan mates in Destiny 2 and while a lot has changed, and I've been having a lot of fun with the new activities, even though there are a few issues I still have with the game. Let's start with the story. I'm venturing far into spoiler territory here, so please turn back now if you'd like to avoid them. Normally, I try to avoid spoilers, but I think that they have a lot of bearing on how the game plays and I can't find a way to talk about that impact without revealing them. I think everyone is aware at least that the game starts with the Tower being destroyed. 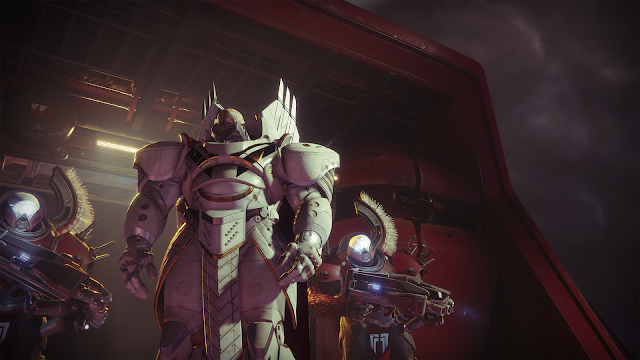 It is attacked by a faction of the Cabal called the Red Legion, an elite bunch of "space-rhinos" led by Ghaul, who is not only obsessed with the Traveler, but sees it's decision to gift mankind with the Light as a mistake and seeks to prove his worth to the great cue ball in the sky. This assault leaves the tower in ruins, the Vanguard scattered, the Speaker held captive by Ghaul, and the guardians without the use of the Light. This sets up players to start from square one, first by finding a way to reconnect with the Traveler's light then bringing the Vanguard together again to defeat Ghaul. The premise of existing players losing all of their gear in the tower assault is a bit thin, but a necessary precaution to put old and returning players on the same footing. I understand its goal, even while I despise its contrivance. Destiny had a great number of issues that couldn't be all that easily solved without some sort of wipe. It is similar to what happened with World of Warcraft and the Cataclysm expansion. It served to wipe away many of the unused areas, revamp older parts of the map and provide an opportunity to shore up some trailing or outdated systems and mechanics. The tower assault was the Cataclysm for Destiny franchise, a reset that rid us of a number of hold-overs from the original game and each of its successive expansions. Gone are the numerous useless currencies and dead end activities that filled out and bogged down the first game. What we have now is a far more streamlined game that has kept a great deal of what was good about the first game, while shedding most of the bad. The story for Destiny 2 was nothing terribly spectacular. It is a story of death and rebirth, a hero seeking purpose and meaning. It's one we've been told and played dozens of time before and Bungie didn't do much to really break from the mold here. Comparing it to the storyline of the first game however, Destiny 2 sits head and shoulders above it in general cohesiveness, even if it does end up being much shorter than I had anticipated. When all was said and done, the core campaign itself (not including time spent grinding levels in between missions) was less than 7 hours. Short by most modern standards for large scale games. I should qualify the above by saying that while the story itself was predictable, Bungie did an excellent job with its actual telling. Pacing was much better, suspenseful moments were truly engaging and even when I knew exactly what was going to happen, the resolution was teased out just enough to make me doubt myself a little. The introduction of the new exploration areas was well done and I always felt as though i actually had a reason for being there beyond it being the next quest step in my log. One thing in particular that I think the story did very well was revitalize the Cabal. I've talked about this with Mike and and we both felt that the Cabal were one of the less exciting enemies to fight in Destiny. They were huge targets with easy to hit weak points, slow movement, easily avoided weapon fire, and one of the least fleshed out backstories of the entire game. They were billed as a highly regimented military machine straight out of a Robert Heinlein novel, but felt like ponderous bullet sponges that couldn't hit you even if you were standing still. 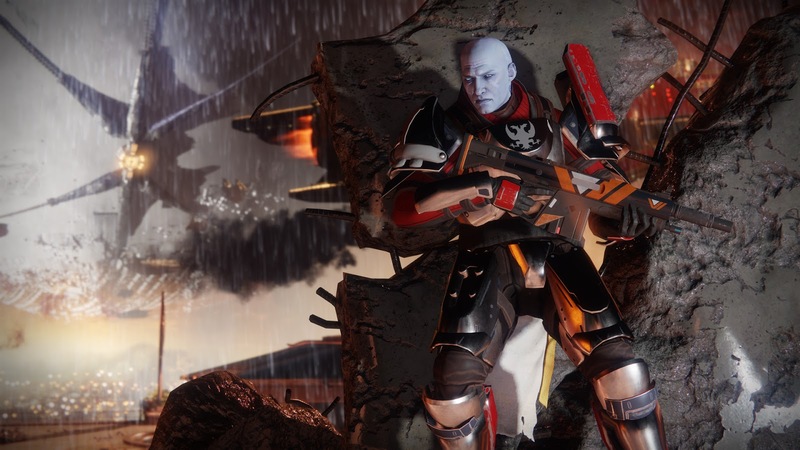 The Cabal in Destiny 2 have changed little in their overall organization; all the same units exist but are now just a bit more deadly than their previous versions. 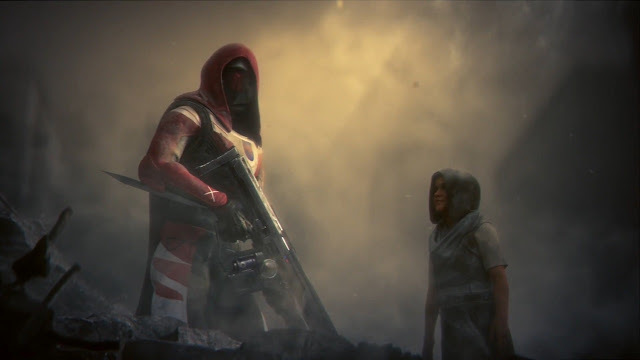 What really changed to make the Cabal fun to exchange fire with comes directly from their role in the game as the ones who took everything from us. They are immediately put in the role of the conquering barbarians, come to despoil everything that we had come to understand and hold dear. By making them responsible for the events of the campaign, we are given a reason to, if not fear then to despise them. They are far more than bullet sponges now. They are invaders. I've gone on a bit about the story here s we'll leave the other parts of the game for later posts. The story for Destiny 2 though serves as a foundation for the other activities and mechanics of the game itself. I think that every improvement in Destiny 2 holds up as well as they do because they are rooted in the story. 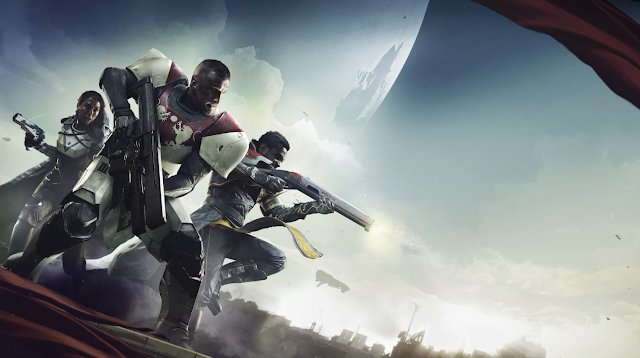 By giving players a reason for the things they are doing and experiencing, Destiny 2 has provided a way to ground the experience for players and keep even the more repetitive activities relevant for them.